Uncategories ♥ 31 Ways To Make A Girl Smile!! Ho yeh ! Kembali lagi Lyssa dalam entry terbaru kali ini ! *ceh . bajet macam kau tu pengacara TV -.-' haha . Nak kembali-kembali bagai pulak kan ? aiyo . Hari ni . Hari ni . Hari ni . 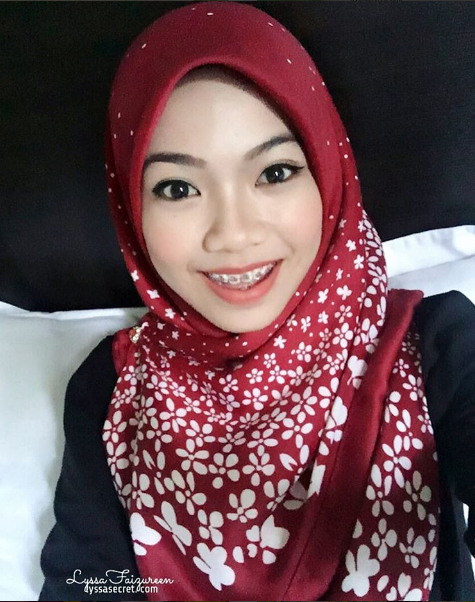 Lyssa nak bagi 31 cara macamana nak bagi ge-girl ni ter-SENYUM ! Ni pun Lyssa dapat dari fanpop.com . Saja nak share kat korang-korang LELAKI yang berada di luar sana yach ! List ni pun saja suka-suka je . Ye lah . Setiap manusia mesti ada kekurangan dan kelebihannya kan ? So lets check this out . Mana lah tahu , wife korang tengah merajuk ke apa boleh lah cuba bagi diorang tersenyum balik ke kan . Ikut mana-mana yang ter-listkan kat bawah ni . 2.Hold her hand at any moment … even if its ust for a second. 4.Leave her voice messages to wake up to. 6.Don’t go hang out with your ex when she is not with you, you might not relize how badly it hurts her. 7.If you're talking to another girl, when you’re done talking, walk over and hug her and kiss her….let her know she’s yours and they aren’t. 9.Introduce her to your friends … as your girlfriend. 14.Let her fall asleep in your arms. 15.If she’s mad at you, kiss her. 17.Every guy should give their girl 3 things: a stuffed animal (she’ll hug it every time she goes to sleep), jewelry (she’ll treasure it forever), and one of your t-shirts (she’ll most likely wear it to bed) or sweatshirts sprayed with her cologne!! and flowers or something occasionally. 18.Treat her the same around your friends as you do when you’re alone. 19.Look her in the eyes and smile. 23.If your listening to music, let her listen too. 24.Remember her birthday and get her something, even if it's simple and inexpensive, it came from YOU. it means all the world to HER. 26.Always call her when you say you will, it may not seem like it, but it does hurt her and makes her think you don’t care so call even if you can only talk for a minute. 27.Girls don’t necessarily have to have hour long conversations every night but its nice for us to hear your voice even for a quick hello. 29.Recognize the small things … they usually mean the most. 30.Don’t hug her friends or your friends that are girls cause she’ll feel left out. ** If u care about her…SHOW her! arggghhh!! naper aku disini ter..?